A progressive broad and balanced P.E. curriculum is offered to pupils at Ellen Tinkham School. There are close links with the Therapy department ensuring that all pupils take part in groups in which their needs for physical activity and exercise are best met. In P.E. sessions in Lower School, emphasis is placed on developing fundamental movement skills and practising these through a range of games, dance, gymnastic and athletic activities. 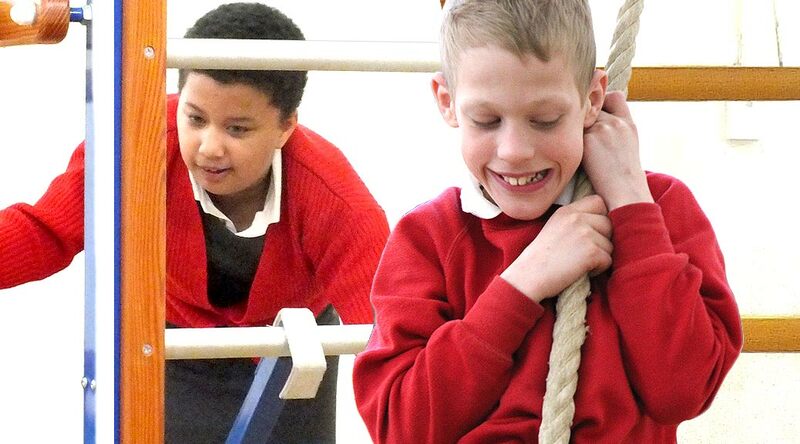 Pupils are enabled to develop increasing awareness of and confidence to manage themselves and their bodies within a variety of movement situations. In addition, many pupils in KS 2 have regular swimming sessions at a local pool, where water confidence and swimming ability is developed. Pupils work towards A.S.A. Learn to Swim awards. In Upper School P.E., as well as continuing with dance and gymnastics in KS 3, pupils develop skills for a range of individual and team sports. They are given opportunity to use these skills in modified games between class groups and against other schools. Many pupils in Upper School continue to benefit from swimming sessions at a local pool, working towards A.S.A. Water Skills awards. In addition to timetabled class P.E. sessions, a good number of pupils access additional physical activities, such as apparatus circuits sessions, walking groups, specialist gym club, learning to cycle sessions, dance clubs and an inclusive sports club. Our recently opened fitness gym provides students in Upper School the opportunity for regular physical exercise as they complete individualised fitness programmes. In Spring 2016, we have taken advantage of the opportunity to have a Karate coach in to lead group karate sessions. So on a Tuesday afternoon, it may look as though the school uniform has changed, as we don our white karate suits and learn new moves. The first sports event for the Bidwell Brook-Ellen Tinkham federation was held at ETS in May 2015. Pupils from KS 3 joined together to play co-operative team games and compete against one another in races on the field. In the summer term, everyone takes part in the annual school sports day, where there are traditional races as well as co-operative games and rebound activities. We regularly take teams to compete in inter-school sporting events – these include the Devon School Games and Devon Ability Games to play sports such as football, goalball, boccia, and to have a go at tennis, badminton, cycling etc. 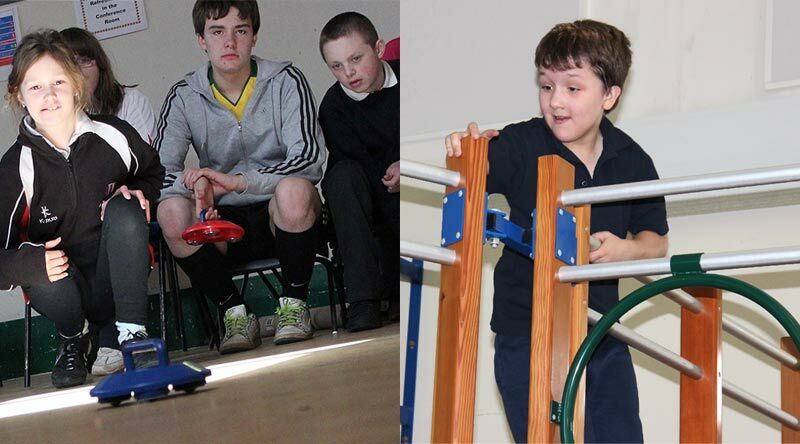 We regularly participate in the County boccia and table cricket tournaments, and also support pupils who show particular sporting prowess by entering South West Regional competitions in sports such as athletics.